Leave a message for Chris using the form fields below. If you have any questions, please contact us at (212) 269-7800. For general inquiries, email compliance@ingalls.net. 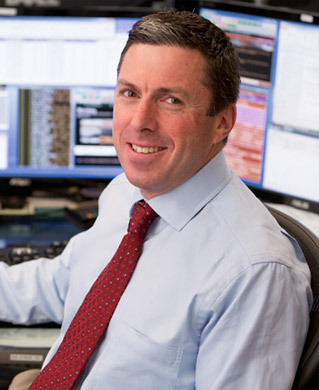 Chris Siege is a Managing Director in the Fixed Income group where he researches and invests in high yield securities. He has over 20 years of experience in investment research, analysis, trading and sales. Chris was formerly with Mabon Nugent & Co., The Delaware Bay Company Inc. and E.A. Moos & Co. Chris joined the firm in 1995, became a Director in 1997, a Senior Director in 2000, and Managing Director in 2003. Chris holds a B.A. from St. Lawrence University. He resides in Westchester County with his wife and four sons. He is a committed triathlete and participates in multiple long-distance triathlons and Ironman (endurance) events annually.